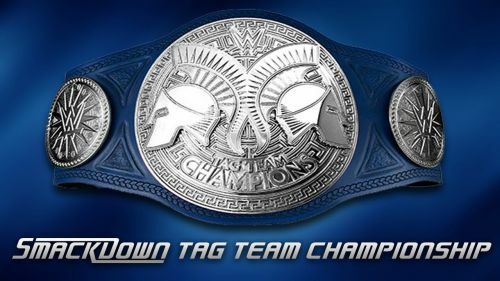 The SmackDown Live Tag Team Championships will be defended this week! The WWE have announced a major championship match for this week's edition of SmackDown Live, as The Bar will be defending their titles against The Usos. This match will be booked alongside another high profile match for a shot at the SmackDown Live Women's Championship, as Becky Lynch, Charlotte Flair and Carmella will face each other in a Triple Threat match. These two teams have been feuding on/off for most of 2018, with The Bar capturing the titles from The New Day on the SmackDown 1000th show. Since then, both Sheamus and Cesaro have been very consistent in defending their championship and have done well. Their feuds with The New Day and The Usos have been well documented. However, with the recent string of victories The Usos have, can the momentum continue into a championship title win this Tuesday night? As reported over on WWE.com, The Bar will officially be defending the SmackDown Live Tag Titles against The Usos. Recently, The Uso's along with Gallows & Anderson defeated The Bar and SAnitY in an eight-man tag match the previous week. WWE released the following preview for their upcoming match. The Usos finished off 2018 with an incredible hot streak on the blue brand and now will aim to get one step closer to title contention when they face off with the reigning SmackDown Tag Team Champions The Bar this Tuesday night on SmackDown LIVE. In a high-stakes match, Jimmy & Jey will face off against Sheamus & Cesaro and, if The Usos can prevail, they will receive a future SmackDown Tag Team Title opportunity. Can The Usos carry their 2018 success into the new year? Or, will The Bar bring the storied tag team back down to earth? Find out this Tuesday night on SmackDown LIVE. Be sure to catch this week's edition of SmackDown Live starting at 8 pm (EST) on the USA Network. Be sure to continue following Sporstkeeda for all the latest wrestling news and results!